The all-new Maruti Suzuki Ertiga will be based on Suzuki's new generation HEARTECT platform, alongside presenting a sharper exterior design and better-equipped interiors. Maruti Suzuki is set to present a major upheaval to its mid-segment MPV, the Ertiga. 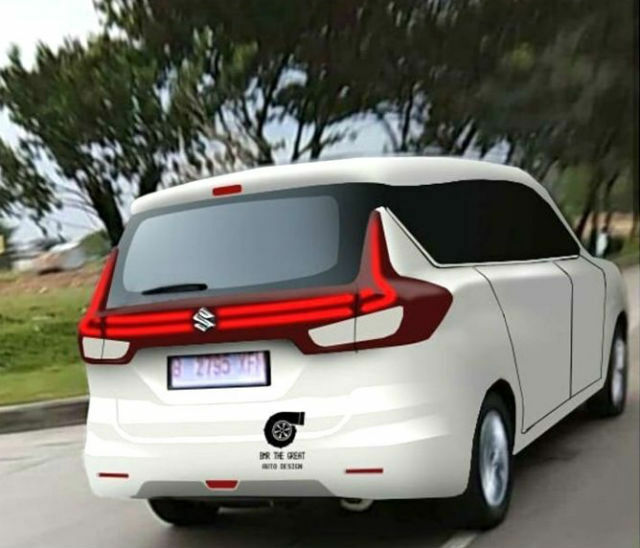 The car has been spotted testing multiple times in India, and is reportedly set to be unveiled at the upcoming Indonesia International Motor Show on April 19, 2018. Furthermore, reports suggest that the car is already up for pre-bookings in Indonesia for a figure of 5 million Indonesian Rupiah, which converts to approximately Rs. 23,000 in India. 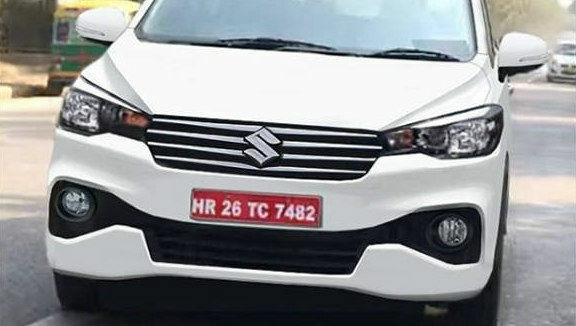 Suzuki is set to present a host of changes to the Ertiga MPV, including a new design for the front fascia, new tailgate design with fancier lighting and a longer wheelbase, accounting for more space inside along with a new dashboard with improvements to the infotainment system and other elements. The company is looking to present the Ertiga as a more upmarket offering, although the new edition of the MPV is not expected in India till at least the end of 2018. 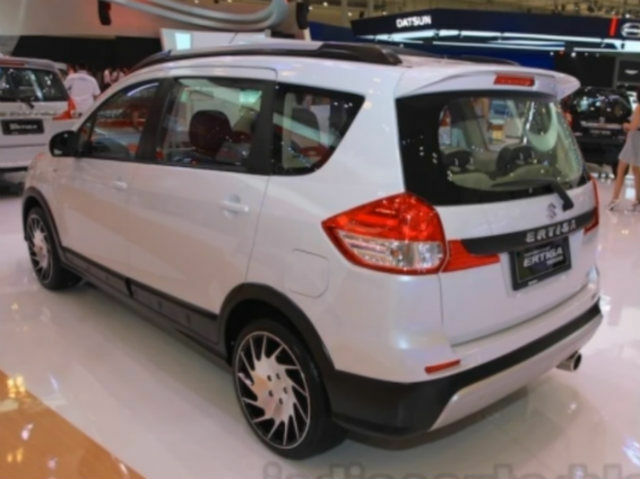 Information, however, is scarce in terms of how exactly the new Ertiga will look. Nonetheless, here’s looking at everything that we expect to see in the new generation Maruti Suzuki Ertiga, when it launches in India later this year. The new generation Maruti Suzuki Ertiga will reportedly get revamped interiors, which will reportedly resemble the Dzire’s interiors. This means that a beige two-tone interior colour theme can be expected, with a two-tone dash that may get faux-wood inserts on the steering wheel and the dashboard itself. At the centre of the console, the Ertiga is expected to get Maruti Suzuki’s SmartPlay infotainment system, which gets both Apple CarPlay and Android Auto, along with integrated navigation via SD card-mounted maps. Inside, the Maruti Suzuki Ertiga is slated to retain the 7-seater configuration, but may get better space inside owing to a longer wheelbase. This may also translate to larger boot space, which Maruti Suzuki may emphasise on to position the new Ertiga as a premium MPV for large families. On the outside, expect to see a more aggressive front fascia on the Maruti Suzuki Ertiga, which seems to marginally resemble Toyota’s premium MPV, the Innova Crysta. In contrast to the present-generation Ertiga’s rather bleak design, the new Ertiga will get bold creases along the hood forming a sharp V leading up to the front grille. The blackened grille, as seen in photos so far, also looks smarter, along with new housing for the fog lamps and sharper headlamps that now have more defined edges instead of rounded curves. To the rear, expect a straighter tailgate with redesigned LED tail lamps, and with the elongated wheelbase, the entire design language may look more upright and certainly more premium. The Ertiga is also expected to get projector headlamps with LED DRLs, and full LED tail lamps too. Looking at the premium positioning of the car, automatic headlamps are not out of the question either. However, Maruti Suzuki very strangely left speed-sensing central locking out of the Dzire’s feature list, although we do expect to see the feature in the Ertiga. The Maruti Suzuki Ertiga will also reportedly introduce a new, 1.5-litre, 4-cylinder diesel engine to the India lineup, although specific details about it still remain scarce on the ground. 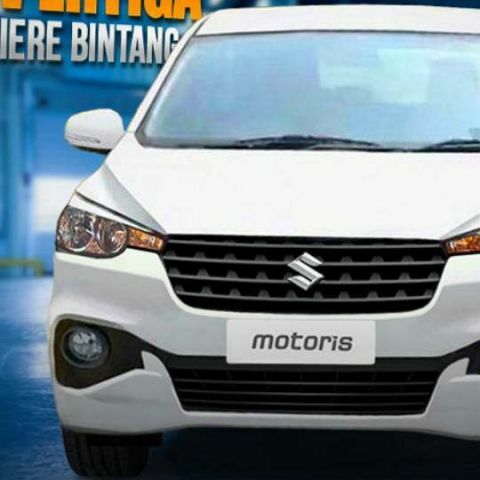 There is, as of now, much debate surrounding whether the older, 1.4-litre K-series petrol and 1.3-litre DDiS engines will be retained when the Ertiga will be launched, all of which should be clarified when it is launched in Indonesia next week. In terms of transmission, the new Ertiga is expected to retain the 5-speed manual transmission, while an AMT/torque converter transmission may also be thrown in. Since there will be a change in the wheelbase, Maruti Suzuki may also upgrade the wheels, making the new Ertiga a rather thorough upgrade. If you are presently on the lookout for an MPV, you have the present generation Maruti Suzuki Ertiga, Honda Mobilio, Nissan Evalia and the Renault Lodgy to pick from in the Rs. 10 lac price range. The new Ertiga, hence, would look at establishing itself as a premium MPV in this segment, adding more infotainment options, space, a smarter design and newer powertrains. As for pricing, expect the Ertiga to come at a slight premium over the present generation one, although a sub-Rs. 10 lac pricing is expected. The new MPV is expected to launch in India in late-2018. The Upcoming Nexus 6 by Google what is the rate of it and its features??? how to convert the videos from MP4 to MP3? Which application to retrieves the contacts from the cellphone?